I Do Wedding Shoes Vinyl Decals. Wedding shoe custom I Do vinyl decals. 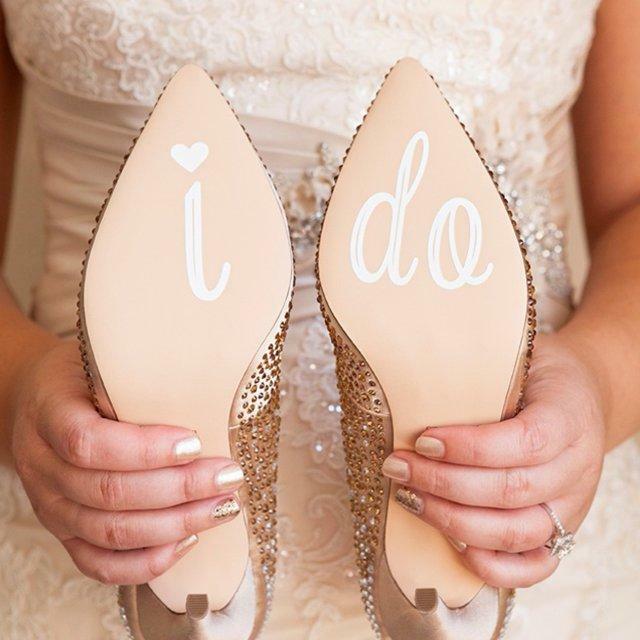 Spice us your walk on the runway with these beautiful I Do shoe decals. These will make your wedding photos pop! We also make custom wedding shoe decals for the groom. Contact us today for a complete list and designs.